Today’s Office 365 article on Petri.com covers the topic of how best to share News items published in SharePoint Online sites to Teams channels. I know it’s a topic that many of you have scratched your heads about, so I decided to go explore. 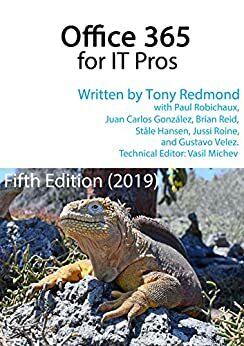 Of course, I’m not a SharePoint person, which is why Juan Martinez and Gustavo Velez write the SharePoint content for the Office 365 for IT Pros ebook. But as I keep on saying, the advent of Teams and Office 365 Groups has had a huge influence over how people view SharePoint. Where once people might have struggled with the complexity of SharePoint and the unfriendliness of the browser-based interface, Groups and Teams make storing documents in SharePoint and OneDrive for Business a natural extension of how people work. Which brings me back to SharePoint News. These are items written to publish some form of important information (such as would never appear in a blog like this). Something like a corporate announcement that you want to publish as a formal news item for employees to learn about. It’s easy to create and publish the news items in SharePoint, but let’s face it, people probably don’t go near SharePoint as often as they might use Teams, so it makes sense to connect SharePoint to Teams to inject important announcements and other news items into peoples’ news feeds. Enjoy the article! And then go read Chapter 8 of Office 365 for IT Pros for more information about SharePoint Online and OneDrive for Business and Chapter 13 for more information about Teams.